You are going to do backflips for joy after you tryout this handy dandy DIY! Why? 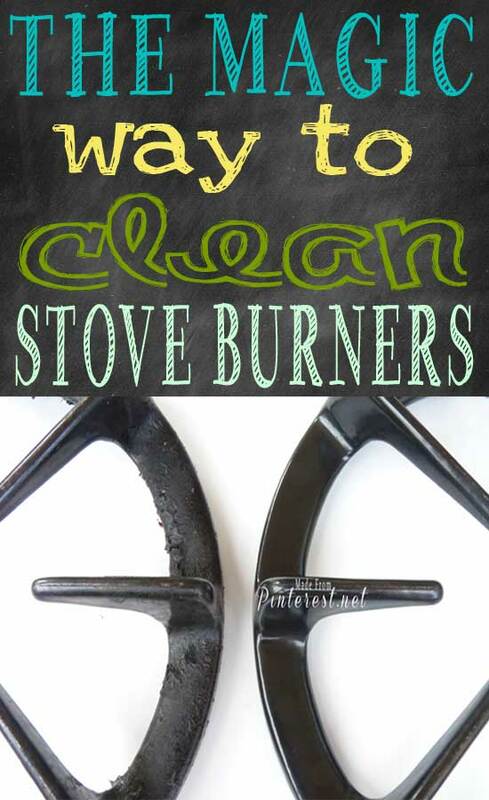 Because you will know how to and officially have a Clean Stove Burner. I am in the market for a magic cleaning fairy. Hmm…..actually I would like to find an invisible, magic cleaning fairy. A true fairy is thinner than I am and probably more beautiful. Not sure I want to see that every day! For example, I was making some mashed potatoes the other day. I wasn’t paying enough attention and the potatoes boiled over making a huge mess. I had a lot going that night and forgot to wipe the burner with a damp cloth to minimize the cleanup later. When I finally got to the burner the next afternoon, I found “petrified potato remains” waiting for me. Yuck! Obviously no fairy came to the rescue, but I did find this pin, “The No Scrub Way to Clean Your Stove Burner” from Vivienne at The V Spot. Hmm….possibly the next best thing to the non-existent invisible fairy that never shows up. This is how I make sure I have a clean stove burner. Place the burner in a ziploc bag, add a small amount of ammonia. Seal the bag and let it sit overnight. Now let me share with you that I have this disease called “more is better.” If a little works well, then I tend to feel that more is better. It is the fumes from the ammonia, not the ammonia its self that is cleaning your burner. Use too much ammonia and it won’t work. I know this because I tried it and it failed. I recommend sitting your burner in the garage or on the back porch so the fumes won’t bother anyone. Wake up the next morning, put on a pair of rubber gloves, turn your face AWAY from the bag to avoid the fumes, open the bag and remove your burner. Discard ammonia and ziploc bag. 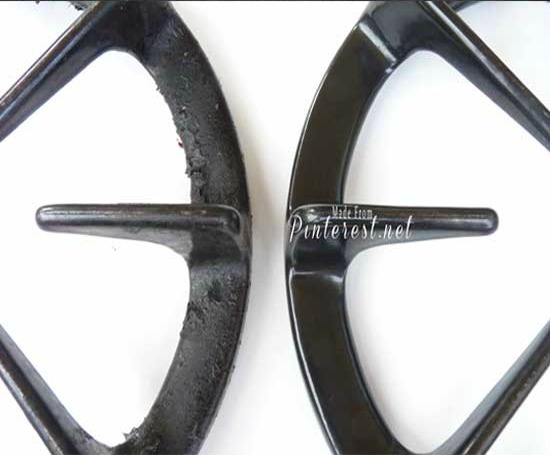 Most if not all of the “petrified gunk” on your burner should wipe off easily. Some cases may require minimal scrubbing. Now, I hate to admit this but……...in EXTREME cases (me) when your burners have SEVERAL layers of “petrified gunk” you may have to repeat the process more than once. Which I did and BAM! Second time around removed everything and guess what? I have shiny burners, go figure! So a whopping…...This Pin ROCKS! UPDATE: Learn how to use this ammonia no scrub cleaning method on your OVEN and BBQ GRILL!